Sticker consists of upper half green colour & lower half blank to write. Sticker is to be handled from the blank portion to avoid staining. Place, date & type of sterilization equipment can be written with pen on the Indicator label. Indicator Label can also be placed on upper part of sterilizer. 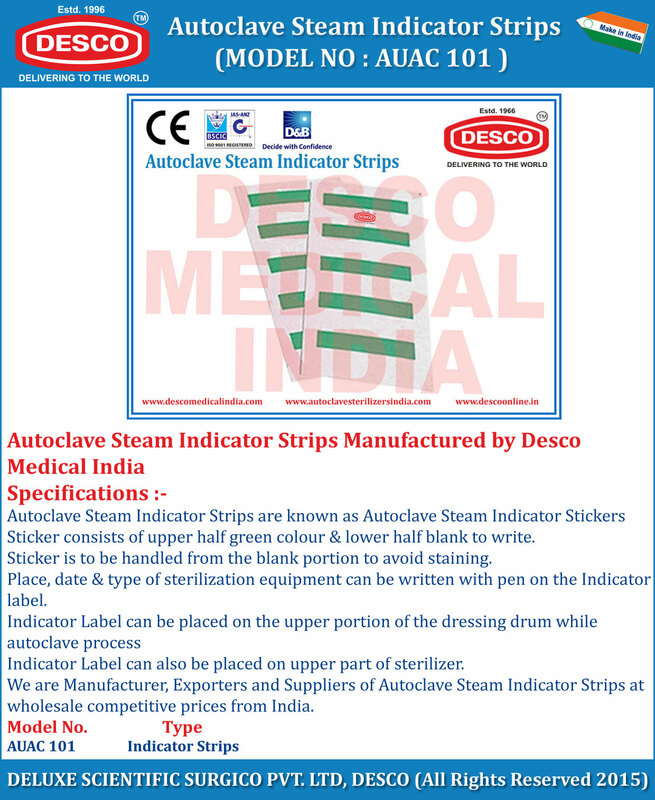 We are Manufacturer, Exporters and Suppliers of Autoclave Steam Indicator Strips at wholesale competitive prices from India.